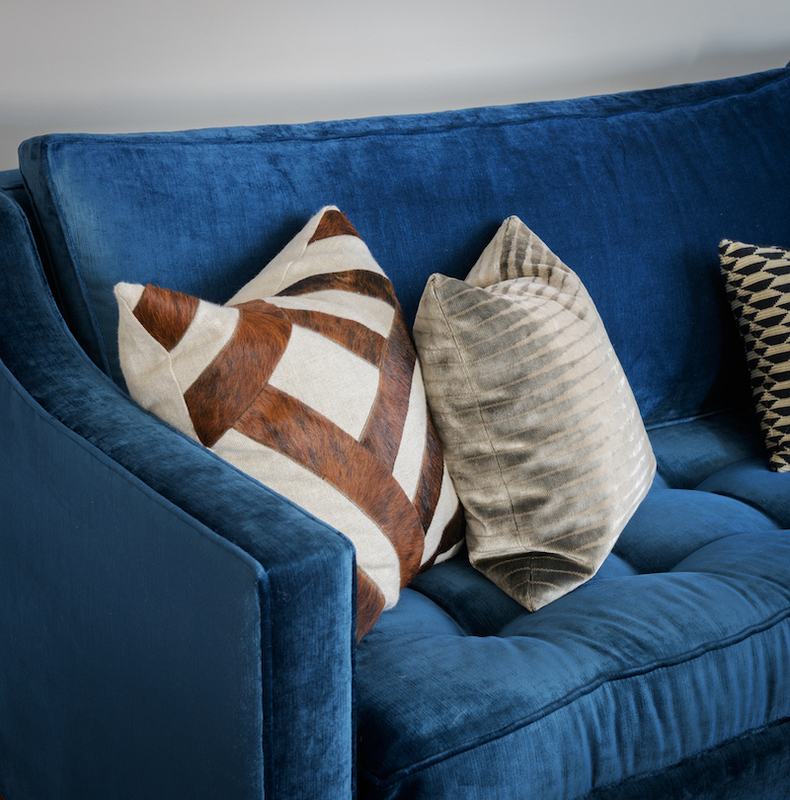 We know the importance of customization when it comes to selecting furnishings that our clients will love for years. 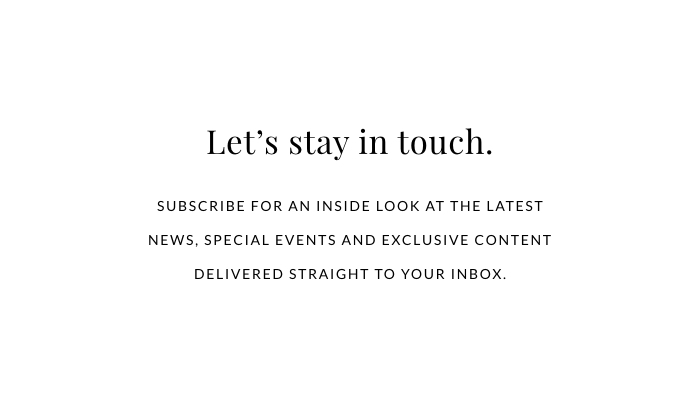 There’s only so many boxes you can check when you shop at big box retailers, which is why we love going the custom route. Sometimes this means finding the perfect upholstery, and other times it means designing the whole thing, from start to finish. 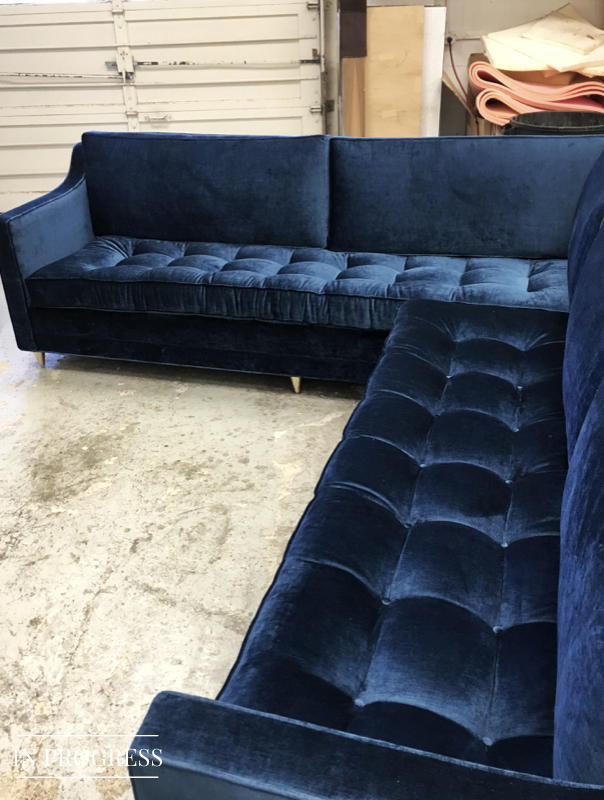 In the midst of the design phase of our Nod to Nautical project, our client fell in love with the idea of a blue velvet sectional. 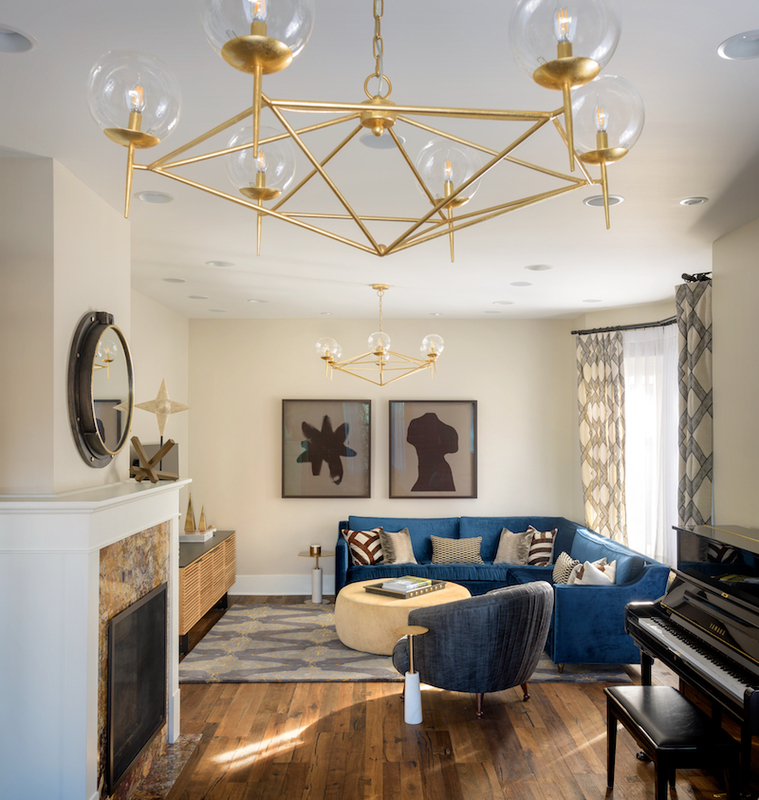 She wanted a sleek and modern look that was still livable for a family with young kids — this type of sofa was few and far between from a retail standpoint! This is where having experienced designers with a vision and plenty of resources come in. 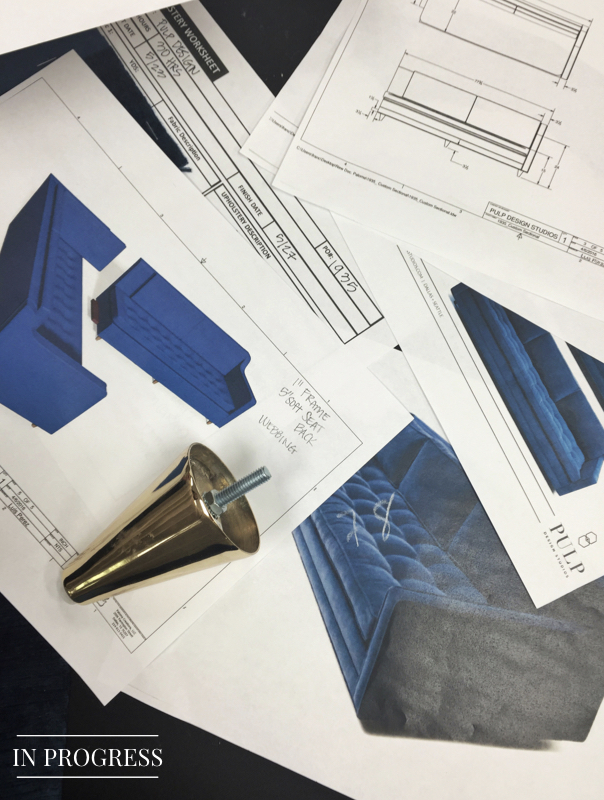 We hit the drawing boards and created a plan to make a fully customized sofa, down to the cushion fill and legs. 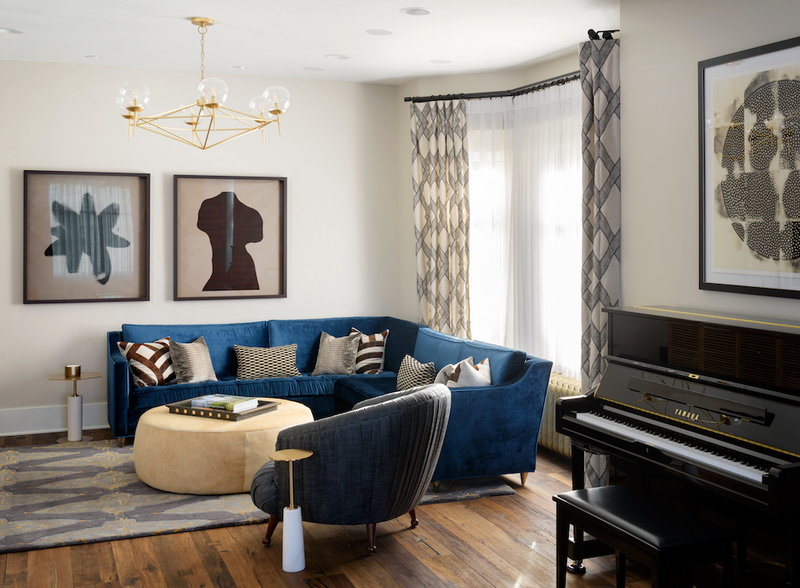 The living room itself created some constraints due to the long and narrow layout — we needed to create a piece that fit the scale of the room, but had plenty of room for the whole family to gather for movie nights, games and some quality time. Our clients have a great sense of style, so we wanted to give them something that was on trend, but classic. And of course, it had to be a rich blue velvet! It all started with detailed measurements of the space. We considered everything down to our clients’ height for proper seat depth. We took our measurements and scaled everything out so they could visualize what the final result would look and feel like. 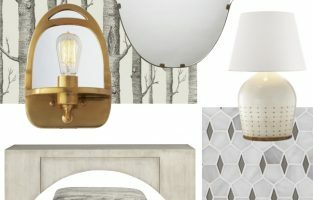 Customizing a piece of furniture doesn’t just mean it will look how you want. 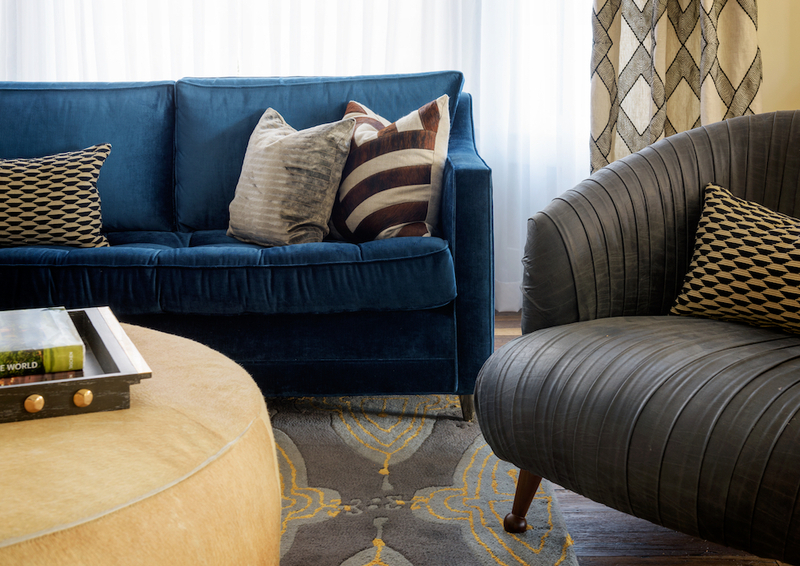 The furnishings we design are specific to the individual client and their desired experience. 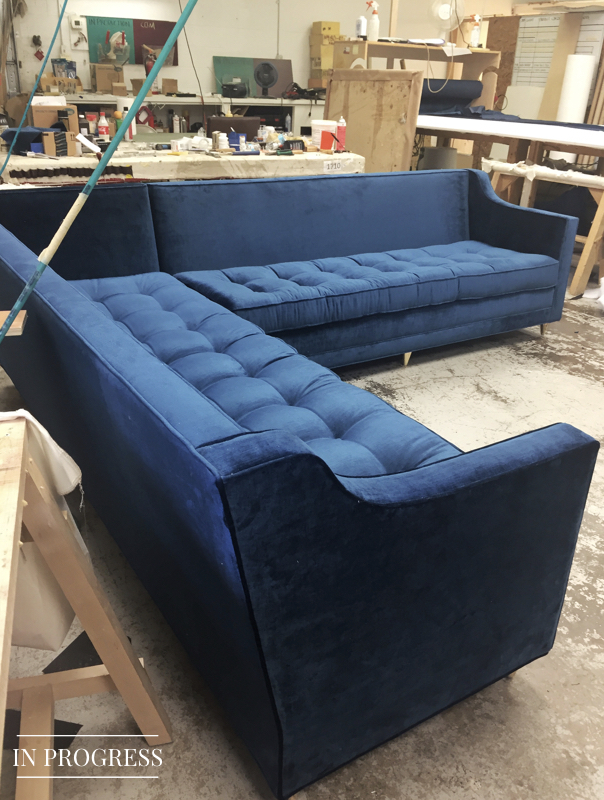 That being said, we dreamed up a sectional that was as well tailored and customized as a suit. 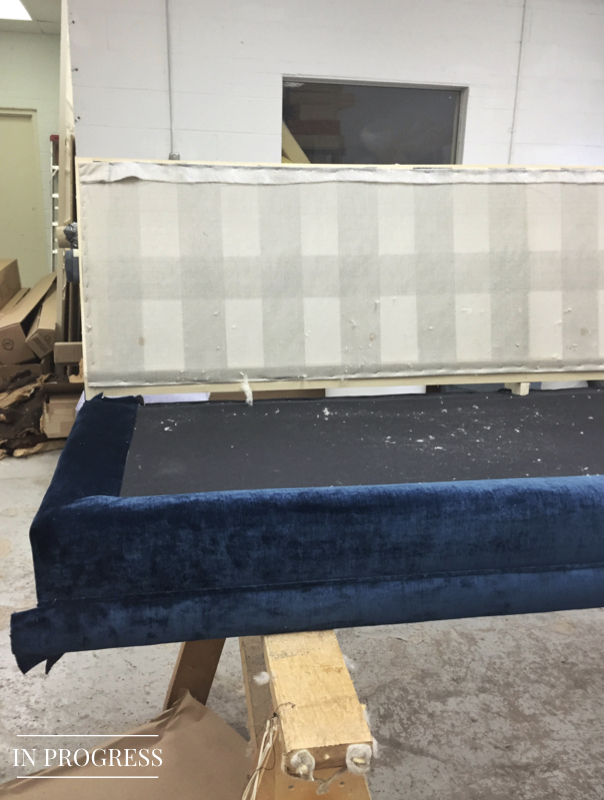 At the end of the day, our clients have two young children, so the upholstery had to be rich and beautiful, but durable enough for the wear and tear of kids. 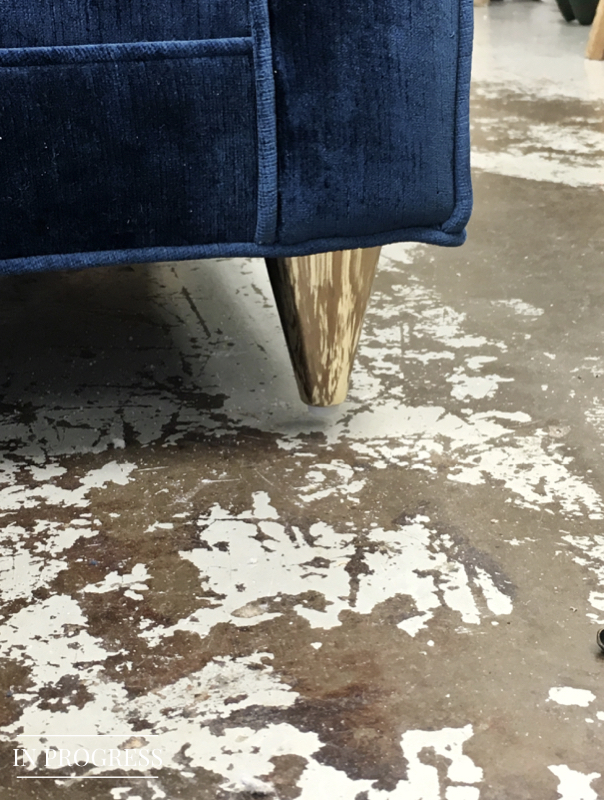 Say hello to soil and stain resistant velvet! With a piece this customized, seat tests were in order. We brought our clients in to test out a variety of cushion types, ranging from foam to feather wrapped, to determine the most comfortable. We gave them the opportunity to feel out the options so their final piece would be exactly what they wanted. Customization takes heightened attention to detail, especially for a project of this degree. 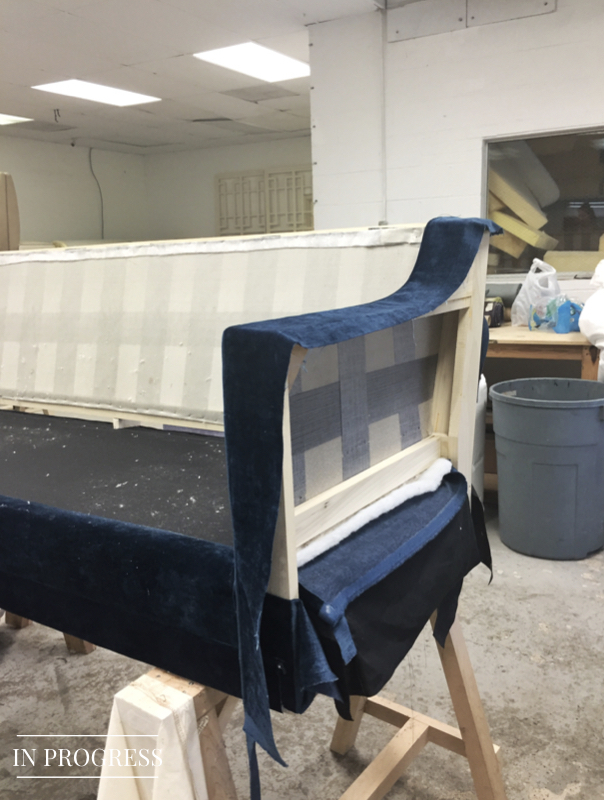 We kept close eyes on the workroom process, ensuring every little detail was executed with precision and perfection. The process can be intensive, but having something that you can’t find anywhere else makes all the work more than worth it. Seeing the sofa installed gave our client the exact look, feel and function they never knew they could have. Set against dynamic neutrals, the sofa brought the perfect pop to the space and is certainly a conversation piece. Love this space as much as we do? Tour the entire project!